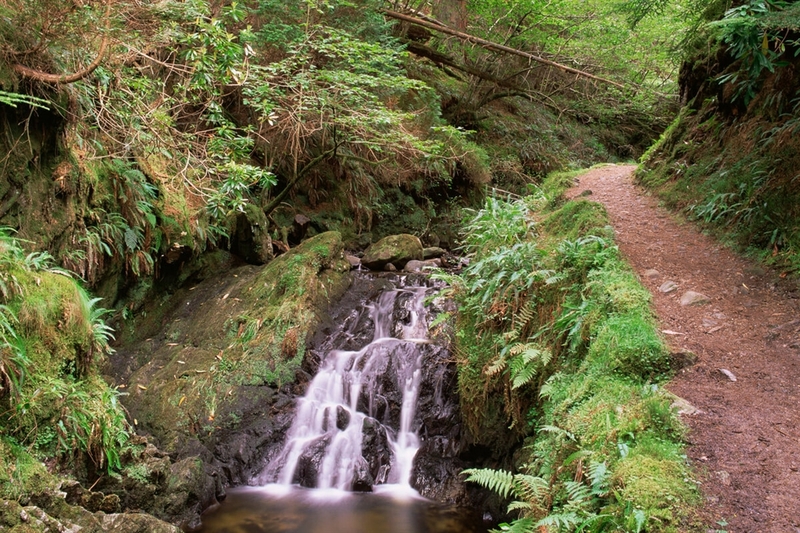 Puck’s Glen is deservedly the most famous short walk on the Cowal Peninsula. This dark and atmospheric trail is a magical experience full of tumbling burn, cross-crossed by bridges and is enclosed by rocky walls heavily hung with mosses and overshadowed by dense trees. 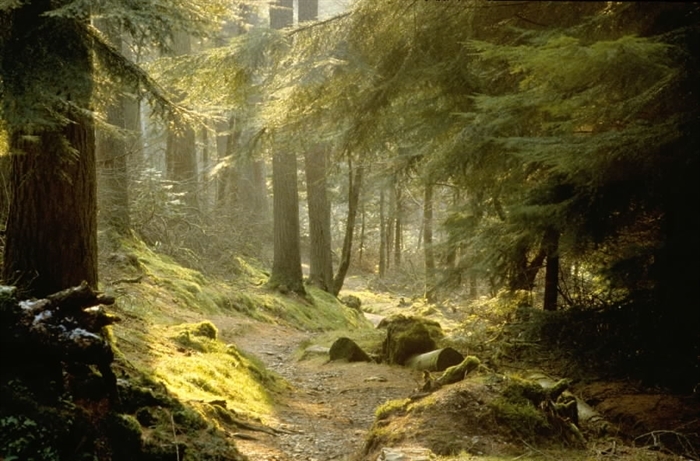 The clear waymarked paths continues uphill, through a mixed woodland planted by the Estate in 1870 and the steep and narrow gorge is interwoven with waterfalls and shallow rock pools spanned by arched wooden bridges.